Help Center OnboardingWhat is text-to-join? 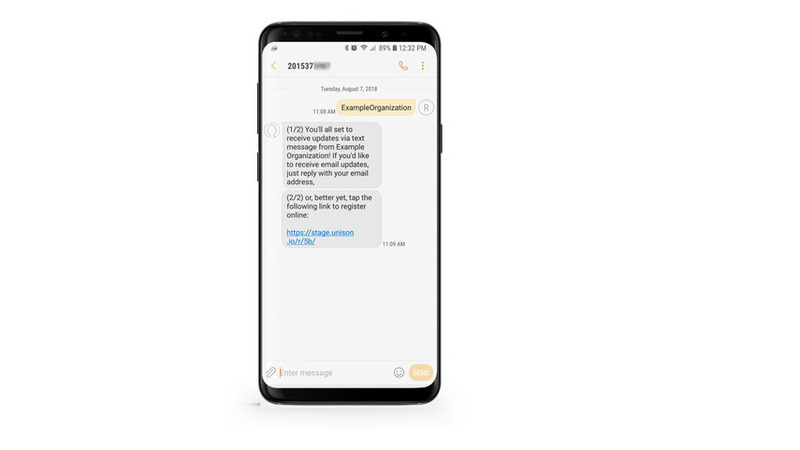 Text-to-join is a way for members to join groups and get connected with your organization by sending a text from their phone. This method is quick to set up, easy to use, and simple to announce. Share your assigned phone number and unique keyword with anyone to allow them to join your group by text message. ex: "Text ExampleOrganization to 201-537-xxxx." Use the number as the recipient and the keyword as the message. This member is now automatically subscribed to your group and will receive text message notifications for any new cards or comments. The member will receive a confirmation allowing them text back to add an email to their account or set up their profile via link. 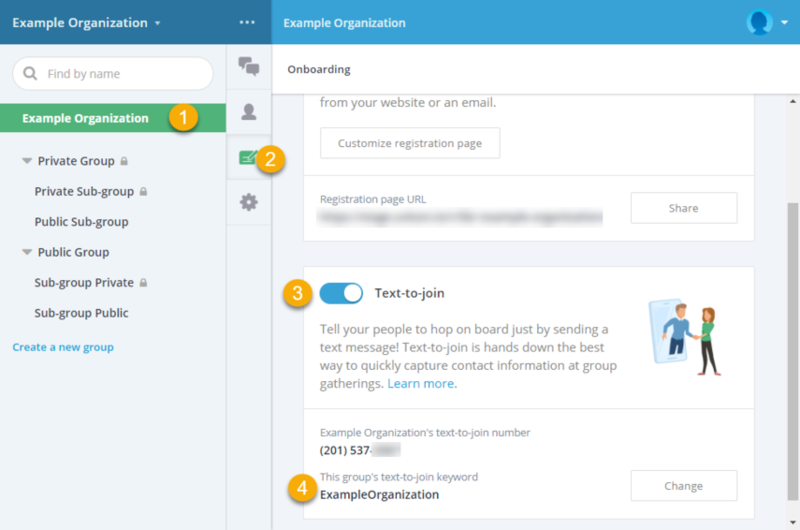 You will now see your text-to-join number (shared for all groups in your organization) and keyword (unique to this group in the organization). Text to join is fully included in your organization plan. No hidden fees, charges per message, or additional fees for extra keywords! Next: How do I create a registration page?